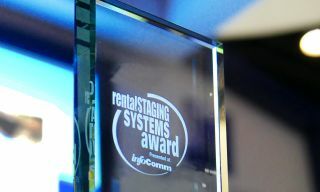 The 2018 InfoComm Rental & Staging New Product Awards are still open for online entry, but the new deadline is approaching. The Awards recognize the best new products introduced from June 2017 to April 2018, for either the Staging market, or the AV rental market. And with the increasing use of digital signage/display for live events, digital signage products are eligible for entry. Deadline for entry submission from InfoComm 2018 Exhibitors (exhibitors only) has been extended until May 7th, 2018.